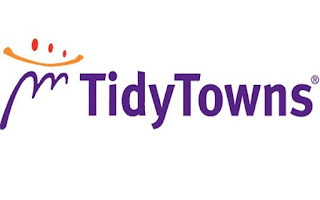 On Thursday 15th March, a group of about 25 TY students set out to help with Tidy Towns Balbriggan. This event was organised by Ms Gaughan and the Tidy Towns committee, which was set up earlier in the year. We left after break, to meet a Tidy a Towns member who would show us what to do. Half of the group went litter picking around Balbriggan, whilst the other half went to the train station, to shovel up areas for flowers to be planted. In the train station, we used shovels and rakes to loosen up the soil. We also removed litter and large rocks and weeds from the area. The other Tidy Towns members will soon return to the train station to plant flowers there, in order to brighten up the station. It was tiring work, but it was worth it when we saw what a difference we had made. After returning to the school for a well needed lunch, the two groups joined together and we went litter picking for the rest of the afternoon. We walked to the car park opposite the church and began work. Everyone was shocked to see how much litter was there, but by the time we had left, the place looked much cleaner. Going back through the village, we picked litter as we walked. I loved having the ability to make a difference, however small it was, and I can’t wait to help out again.